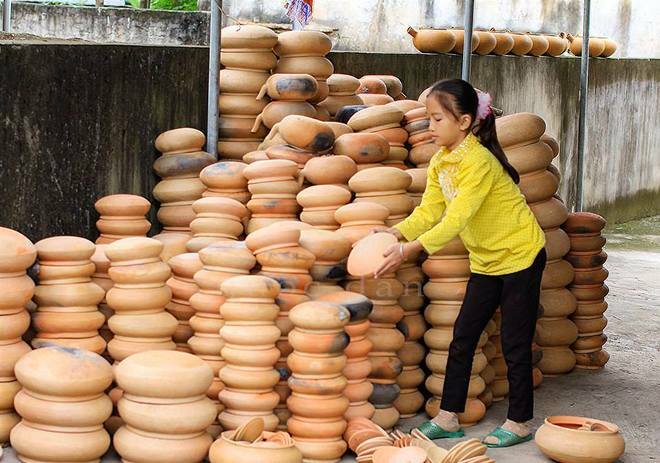 The pottery village of Tru Son is in Do Luong district of Nghe An province. 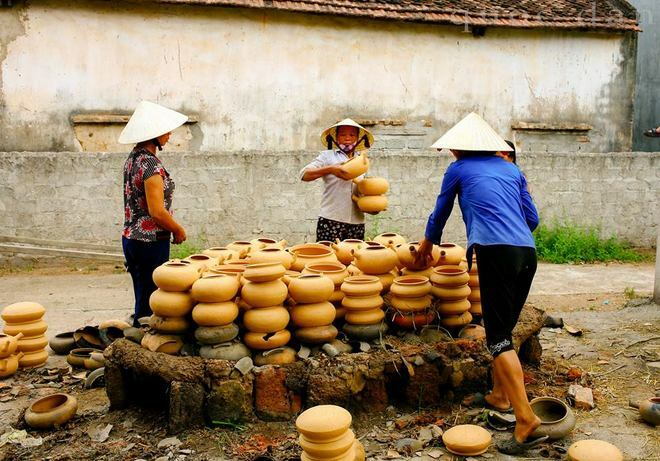 This is the only village in Nghe An making earthen pots so it is also called “earthen pot village”. 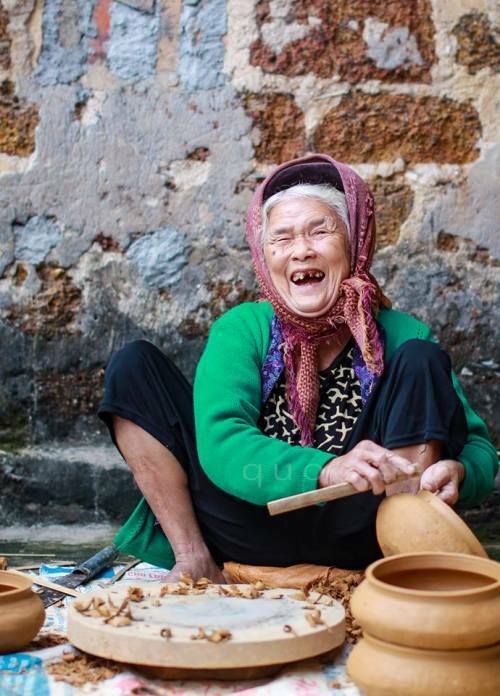 The tools used to make pots are very simple. 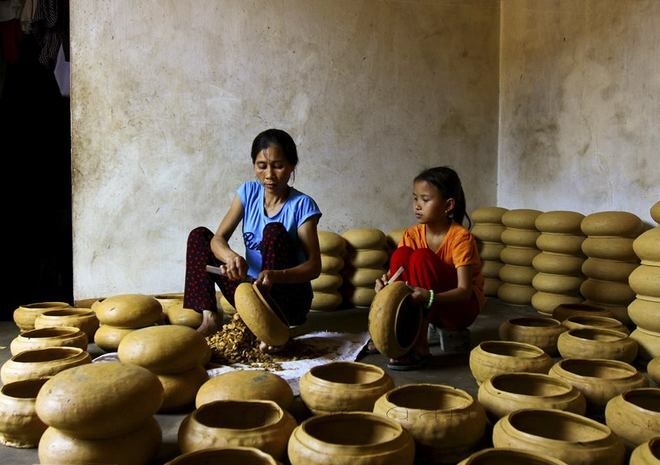 To have suitable land to make earthen pots, the villagers have to cross a path of 7-10 km. 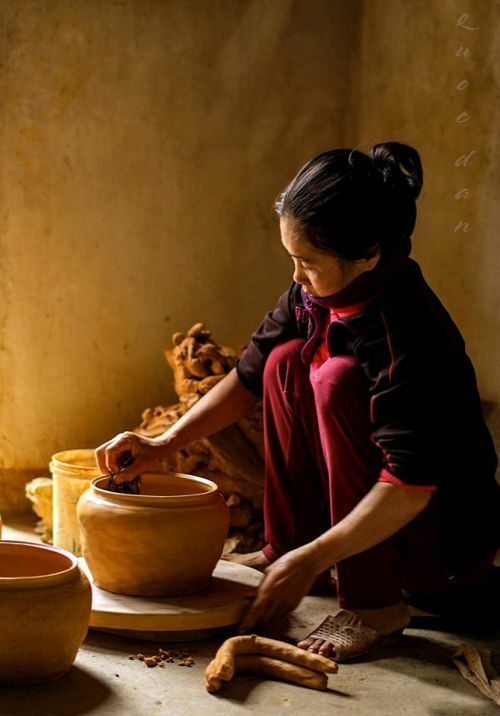 All products of Tru Son pottery village are handmade. 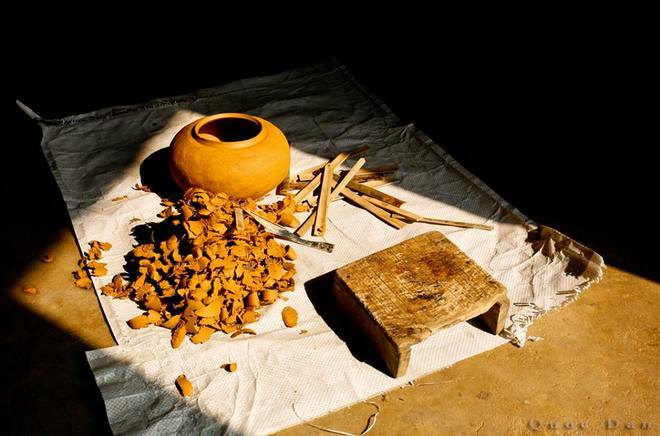 Normally, pottery makers burn 250-400 pots in triangle-shaped kilns within 4 to 5 hours, using dried pine leaves as fuel. 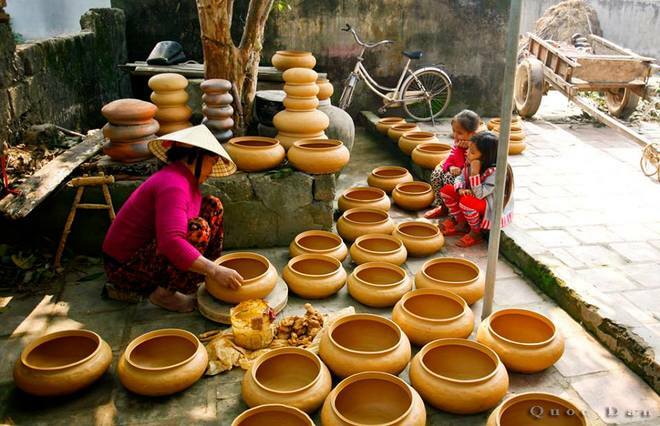 To make a perfect pot requires meticulous stages, each pot is priced only VND1,000-VND5,000/unit. 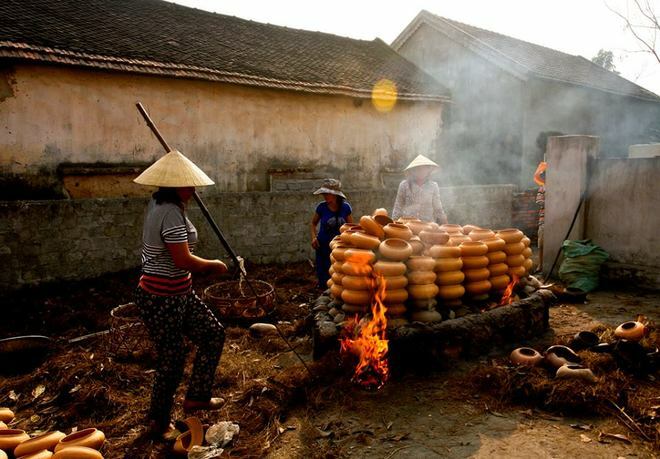 However, Tru Son people have preserved this traditional job for many generations. 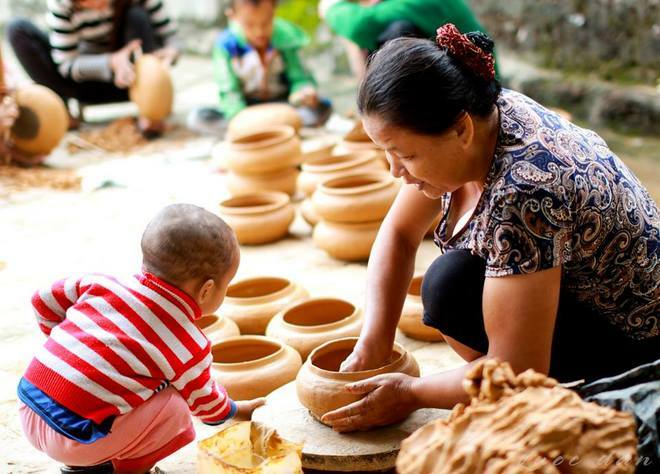 Products of Tru Son villages are not sophisticated like those of Bat Trang or Chu Dau pottery villages. 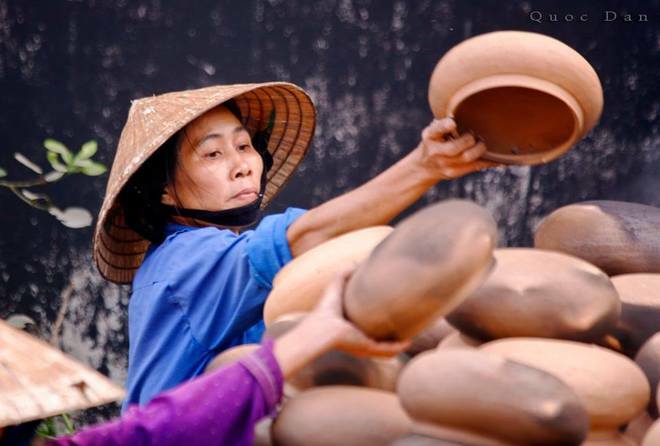 So far, through many generations, despite many ups and downs, Tru Son people have still preserved the traditional job.